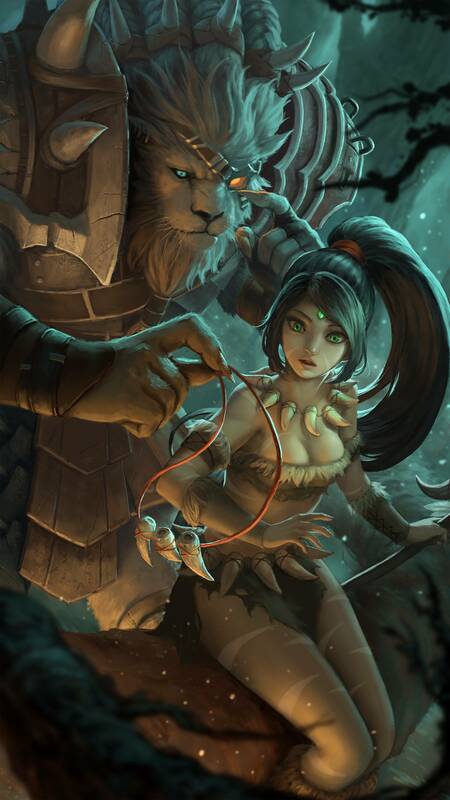 Challenger Nidalee’s splash art was previewed at the All-Star event recently. You can see the skin in-game HERE. She’s got a distinctive playstyle, clear weaknesses, does things other champions don’t, has gameplay that matches her theme reasonably well and has decent counterplay. There’s room for a bit of visual improvement, though her texture and visual effects updates improved her a lot there. Expanded voice sometime would be nice certainly. Overall I feel she’s in a really good spot and would rather see work put into an enormous number of other champions than into Morg, returns there feel like they’d be pretty low for the time. Yup, though pick a champion at random and odds are high they’ll be more in need of work than Morg. We’ll certainly want to make changes to Akali whenever we tackle assassins though. We did do some initial exploration into possible kit changes, which showed some promise, we’ve put that on hold until we have a go at the class overall though. Distinction from other assassins (Diana especially, Kat to some degree), better fallback/recovery options, better counterplay, more unique tools for her. People tend to complain about the most distinctive things a champion does. Nerfing based off what people complain about can eventually end up homogenizing characters a lot, with everyone having a similar feeling kit and unique effects reduced from character defining to secondary sources of novelty. To combat that we instead map out what we think are appropriate strengths and weaknesses for each champion and try and nerf/buff to preserve (or accentuate) those. In this case nerfing the MS with an ally devoured was we felt the best way to do that for Tahm in 5.24. That’s not to say player frustration isn’t a really useful thing to monitor and understand, it’s really valuable for helping to build or modify those intended strengths/weaknesses in the first place. Being really informed of player feedback, frustations, needs, wants etc’s something we believe’s really important. That’s not the same though as believing that whatever a lot of people are saying is necessarily the right thing to do though. Some of the time, yes. We expected Tahm Kench’s ally devour to create quite a bit of frustration when it saved allies for example. We felt during his development (and still do now too) though that that was an acceptable cost given the positive moments and gameplay Devour creates. Preseason’s also increased her effectiveness a noticeable amount, so if we felt compelled to make balance adjustments to her I’d imagine they’d be nerfs not buffs. There are certainly some supports that are more dominant overall, we’ve either just nerfed, or are in the process of nerfing, those that are over the line though (some of whom will probably need further work too – looking at you Brand). No current plans on the gameplay side, alternative passive explorations didn’t work out so we opted for the heal on self cast ult instead. Not sure on the Lore side, apologies, not my area of expertise. Would love to see advancement of that plot-line myself though, more revelations about the Watchers and the history there especially. We feel Vel’Koz is pretty balanced, generally feels fair to play against and has some solid points of mastery for the Vel’Koz player. Only real issue with him is that what he does isn’t sufficiently differentiated from other mages/poke champs, so we’d like to find him a unique strength or aspect at some point. Nothing too surprising so far, though it’s still really early days. We’re still seeing a lot of people playing the rework for the first time or two, so lot of initial mistakes being made and experimentation going on. No current plans for immediate changes, though we’ll reassess on Monday as well. 800 units, so it’s not a great choice in a duo lane, but should get some use in team fights if you’re diving at least a moderate distance in front of your team. To the best of my knowledge, he’s eligible. Aside from Video Games, I enjoy Sports Cars and Motorcycles. I’m currently running a Ducati Panigale 899 that I keep under armed guard, seeing as the last two bikes I got after moving to LA were both stolen in a matter of weeks. I’ve also always loved sports, particularly Football (Giants fan for life) and Basketball. I listen to a range of music, but am mostly into Hip-hop and House/Electro. My Spotify has been blasting a lot Run the Jewels and Disclosure lately, although my boy Kanye is never far off the playlist. Before I was a professional nerd for a living, I was something totally different – a software engineer at Microsoft. Some of the fun stuff I’ve done at Riot include the Lucian mini-rework, Runeglaive and Zeke’s Harbinger, and most recently I lead the charge on Rift Herald. I’ve spent the last 2 years on Live Gameplay (aka the Rito balance team) nerfing your favorite champ, but I am moving to new Champion team to find new ways to add more anti-fun into the game. Until that happens, I’ve had front row seats to every balance and game health struggle that we’ve had in League for the past two years, so feel free to hit me up with anything in that area. I’d like to talk about interesting struggles with the live state of the game, ranging from the intricacies of preserving game health, to how to interpret win rate metrics, to how we handle eSports concerns. I might also get into what it’s like for a novice champion designer to start taking on the task of building a brand new iconic experience in LoL. Finally, ADCs are my peoples, so if that’s your passion, or if you just need help with that Vayne build, I’m down with the clickers. I really want to talk to you here but you have to give me something way better than “why do you love toxic stuff and hate good stuff”. Maybe give me some specifics on what you felt was off. This one I don’t get at all. I think if you searched through most of the pro games this year, you would find Leblanc and Zed to not be nearly as dominant as say Viktor or Azir in terms of pick rate. That aside, it seems like you’re creating a false dichotomy here between choosing between “flashy plays” and “healthy gameplay”. 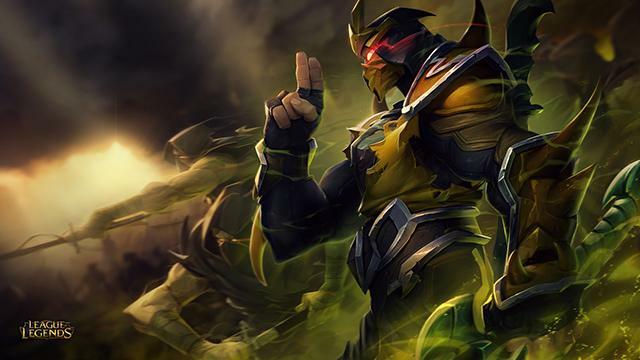 I don’t think we’d say someone like Zed has an inherently unhealthy pattern (I’d say he’s fairly healthy for an assassin), but there’s no reason why something can’t be fair and flashy. Again, it’s really an issue of balance here. You can’t argue with the level of power that Cinderhulk was giving to characters at the time. 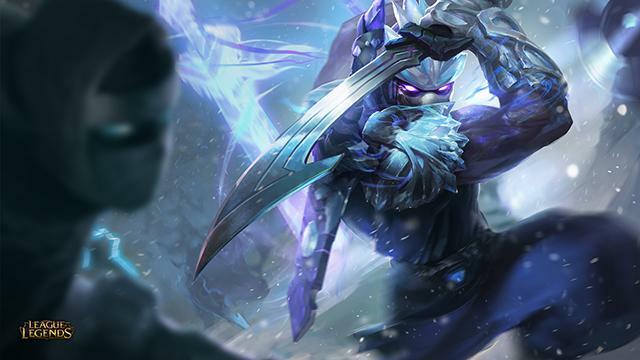 There are many reasons to like the teamfight-pacing presence that tanks give, but these champions had no tradeoffs at the time – they were becoming damage dealers with extreme durability and CC. On that topic though, no one was happier about the success of Cinderhulk than me – that project was the combined efforts of Fearless and I (mostly him! ), and I was overjoyed at the spike in competitive diversity that the Cinderhulk patch brought to the game. But the theory that we chased away diversity by nerfing Cinderhulk is false. The diversity spike partially arose due to the uncertainty of solving the game at a pro level since we upended the meta (tanks in Jungle instead of top lane, so now carries in top lane, so now different types of supports/ADCs that have to deal with top lane carries, etc.). The pro diversity levels were already falling quickly in the weeks after Cinderhulk came out due to them solving the meta rapidly, before we even managed to get the nerfs out to the servers that pros played on. So while Cinderhulk as a disrupting force was positive in driving diversity, it couldn’t ever hold that permanently – we have to keep making changes to the game to do that. Lee Sin did get a small buff in 5.16. The previous five patches that he received a balance adjustment before that were nerfs. I am a little puzzled that the assessment is that he is getting unfairly privileged to be at a high power level that is inappropriate. However, I get that he has been at at stable level of power for a long time, and my answer to that is that I think he is a fairly healthy champion. He has a high level of execution required to succeed on the part of the Lee Sin player, he has some major weaknesses (particularly towards the late game), and he has always felt like a somewhat risky pick, even when strong. I don’t speak for Riot’s future balancing strategy here, but for my 2 cents, Lee is a cool champion that still gives his opponent options when succeeds, which to me is something we can maintain as someone who appears in a lot of games. In regards to Anivia, I’d ask you a question first – if very few people complained about her, but she was still incredibly powerful, almost unfairly so, should we leave her alone? Would we leave balance decisions up to capturing the tone of broad player perception? For Anivia, the timelines are sorely mismatched here though. We’re not responding to Worlds (that was 2 months ago), we’re responding to preseason. For Elise, I get that she’s still strong, but by no means has she flown under the radar – she’s been nerfed more than once in the past few months. I think our data put Anivia going up nearly 4% in win rate with preseason – most likely due to the efficiency of RoA and the addition of Deathfire Touch. That’s a pretty huge change. With Elise, our changes this year have been intended to balance her as more of a mage threat, not as a tank. The 5.18 and 5.16 changes both hit base damages, not ratios. Swain is just a tough guy to balance. He’s kind of a drain tank, and he’s largely about dot damage and healing, so nerfing the E seemed like the wrong thing to do there. The effectiveness of his CC seemed out of line with that type of champion, which is why we went with the W. I feel your pain there though, you could make compelling arguments to hit other areas. Hmm, that’s interesting. I understand that their maximum window of being ahead may be smaller (because gold eventually catches up), but we have put a lot of changes in place in preseason to push forward rewards for early aggression (towers falling faster, Rift Herald, vision changes etc). I think most of our evaluations say that a lot of early-game champions got a big boost since preseason (Shyvana went up in win rate, didn’t she?). I think there are specific champions like Pantheon that may have some itemization problems. The crew on the Systems team is hard at work on that one. Agree that he’s never really been diverse. There’s almost always one correct path and then a few wrong ones. We have played with that idea for E before, but it largely resulted in the same thing (one optimal path, this time never with E). I think for Kha’zix’s evolution pathing to be in a state that isn’t solved before game start requires each evolution to power him up along 4 distinct axes/contexts, each of which are likely to change in relative importance within the game. That’s very very hard. Maybe not impossible though. This is a really interesting one. I think the solo Q Support/ADC relationship and the organized 5v5 Support/ADC relationship are so incredibly far apart they may as well be different games. What’s really cool about a good duo is that they both have to constantly take “trust falls” in lane to be effective – you have to make a move KNOWING that if you eat a CC your partner will use a summoner at the right time to make sure the play works. The problem is that in solo q the communication is so sparse that this goes wrong fairly often, unless you’re just on the same page because your game knowledge is deep enough (this is one major reason why playing ADC is so painful at lower MMR ranges). There’s nothing worse than having a trust fall where your partner doesn’t catch you, and it can reshape your approach to laning in a very negative way. On the other hand, when two of you are on comms together and perfectly on point, it’s incredibly rewarding and one of the best experiences in League of Legends. So, to bring it back to the designer’s perspective, where do we want to strengthen the experience? Do we want to create solutions that make a better play experience for the low communication solo queue game? That would lead us to creating mechanics and items that have low coordination requirements, low failure rates, and correspondingly low rewards for success. Do we want to reward the mastery of a competent duo playing properly? Well, then this is a mechanic that has a very limited reach, as the vast majority of players will not be able to enjoy it as consistently. When CertainlyT had to figure out how to balance Kalista’s W passive, or I had to figure out how to reward Zeke’s Harbinger properly, these are some of the things we had to struggle with. Personally, I’d really love if we made another Conduit-style item like Zeke’s, but opened the space up a bit for different types of duos (maybe a double melee dive buddy item, for instance). A few metrics here that I really like are “win rate by game time” and “average experience level”. The game time graphs will occasionally give us a very sharp idea of where to address a part of the character that is really out of control. For example, pre-5.18 Veigar tended to win a fairly small portion of games that ended at 20 minutes, and a fairly large portion of games that ended at 45+ minutes. After the buffs to his W cast time, we saw a fairly small change at the 45+ minute win rate, but a huge one at 20+ minutes, which was a large indicator to us that we had changed Veigar’s power curve in a way that we were not comfortable maintaining. That directed us to looking at base damages instead of hitting the cool thing about Veigar that players really loved (the infinite scaling fantasy), and gave us a pretty solid foundation for doing so. The “average experience level” one is one that’s really hard to convey to most players, but it basically indicates that if the vast majority of players on a champion have a huge amount of games under their belt, then we shouldn’t look at a champion’s win rate and be surprised if it’s high. For example (these numbers aren’t accurate, just using them to illustrate), if the average Riven player in your game has 70 games played on the champion, while the average Brand player has 15 games, it wouldn’t be a unfair statement to say that Riven could have a higher average win rate than Brand and still be equally powerful. A lot of the decisions to nerf the “hidden OP” champs came from being fairly confident that these guys were WAY far out of line. We have a fairly significant amount of data demonstrating that these guys had pretty obscenely high levels of power in this patch. I don’t know the answer to that question. I can tell you that I felt a lot of the same way as players did in 5.16, that the game felt pretty far off in terms of balance compared to what we’ve done historically. Everyone has taken a hard long at what went right and what went wrong there so we can improve on that in the future, which to me is something that’s cool about how Riot – we definitely have failures, but we do our best to make them mean something positive. Oh man, Bard. Rarely do I see data tell me one thing that so heavily disagrees from my personal experience. I honestly feel like a Bard main is absolutely terrifying, but he can so easily cause catastrophic failures for his own team that his effectiveness can vary incredibly hard. [ Note ] The Mandrake ward is an experimental ward on the PBE that gives no vision and only pings you when it detects Champion movement. I think it would be a fairly good thing for Eve to be honest. I’m not so sure her current form of favored counterplay (Pink ward + ward her jungle camps) is sufficient that we can leave in her tuning in a satisfying place. That’s heavily speculative though. Quick introduction here – Iâ€™m Pwyff. In previous lives Iâ€™ve played video games competitively, ghost-wrote college essays for tuition, wrote terrible movie scripts for free dinners, and did the whole video game journalism / editor-in-chief bit before arriving at Riot Games. I come from a mixed competitive gaming background of: FPSes (CS 1.6, Natural Selection, TFC), MOBAs (DotA, HoN, Bloodline Champions), and MMORPGs (Ragnarok Online, FFXI, vanilla + TBC WoW), so my favorites tend to fall along those. In between games of League, DotA 2, and Duelyst, I was trying to speedrun Fallout 4 before dropping everything for the new Bloodborne DLC, but did not get very far. I think I rerolled twice, explored fifty million supermarkets, recruited Nick Valentine, decided to forcibly set my carry weight limit to 20,000 so I could hoard more things, realized I opened Pandoraâ€™s Box of cheat codes and shortcuts, set my melee stats to five billion, punched a few Deathclaws, and then couldnâ€™t go back to a normal life. Outside of those things, I read, write, walk, and talk a lot (often at the same time). I currently own: 0 cats. A tl;dr would be that Iâ€™m a communications lead, working on all things to do withâ€¦ communicating. One of my first big projects was to improve the way we talk about change in League (particularly in design), and you may have noticed the experiments weâ€™ve run over the years, especially with the patch notes. These days, Iâ€™m focused more broadly on how we talk about what we do and why we do it. With the preseason just shipping and the 2016 season update on the horizon, Iâ€™m in the process of helping with our next Riot Pls update, getting this Dev Corner to a functional place, and thinking about what people actually want to hear about. Iâ€™ll probably use my monthly slot as an open forum to talk about what new things youâ€™d like to hear from other teams. If thereâ€™s a pressing topic youâ€™d like to see discussed, feel free to chuck them in and I can understand what we should be thinking – or talking – about. Or if itâ€™s just a miscommunication, I can talk about that as well. Honestly? Let me know. I can tell you stories about life at Riot, or how teams work together, or about the cat I donâ€™t own. Nah, you’re talking to the right guy. So I’ve got Scarizard directly trying to tackle this issue next year to get the Patch Rundown to a more authentic place. The question I’d ask is this: what should the patch rundown be for? For others, however, the patch rundown is seen as a vehicle to communicate what’s changing. Should that be our goal? Are players happier if we just tell them “this is changing and here’s why” a la patch note format, or do they want to see discussion on the topic with people they trust? This is basically the space we’re grappling with. In an ideal world, I’d love to have two streams of content – one high level TL;DR of the patch notes for quick, easy consumption, and another focused on deeper context. Up front: I don’t think there are any plans to scope out pets into something deep and expressive. I believe the current view of pet controls is “tolerable,” if not very exciting. You mention that adding pets / pet controls would add a lot more depth to the game while also offering more avenues of kit ideation (and skill expression), I wonder about that. You can add any sort of mechanic to a game to make it more ‘complex,’ but good game design is about the right combination of complex mechanics. If CS:GO suddenly added bunny-hopping into the game, it certainly becomes more complex from a movement-shooter based perspective, but it loses out on the type of game it wants to be. I’m assuming that adding a second unit to control beyond basic movement (aka the current system) will raise the mechanical complexity of the game, but if this assumption is true, should that be where League’s design focus is on? Most designers would say there’s a lot of really cool space to explore with single-champion kits. Perhaps there could be a champion designed with the ‘illusion’ of pet play – maybe a multi-unit champion with pre-defined positioning based abilities (hello, Orianna) – but the better question is what a complex pet system offers over other new systems. Now that I’ve laid out the conceptual space, I can offer my own opinion. I think there’s room for some cool pet mechanics in a game like League, but probably not the likes of Chen or Meepo. There’s this concept of transferable skills where if you learn, say, auto-spacing (heh) with Caitlyn, that’s a transferable skill to Jinx. At the very least this allows you to build macro-mastery of League (positioning, map movement, etc) while also investing in the micro-optimizations of a champion. I do wonder if the skill investment for any of these is so different for League that a champion who rewards players on these axis just makes them a novelty. The issue with novelty champions who reward players on very unique mastery paths is is you end up with massive disparities between the haves and the have nots, and balance becomes a nightmare. Riven is a great example of this. Do we now balance Riven with the expectation that all players have learned to animation cancel? Or do we just allow this one champion who, when fully mastered, has access to more tools and more power than anyone else? I’m not saying Riven is objectively overpowered, but the more unintentional power a champion can access through clever mechanical manipulation, the higher chance a designer just didn’t account for it. This paints a real black and white picture though. Could the pet system be improved even for the current pet-based champions? Absolutely. Is it an absolute priority for engineering to restructure how unit control occurs within League? I’m not sure. 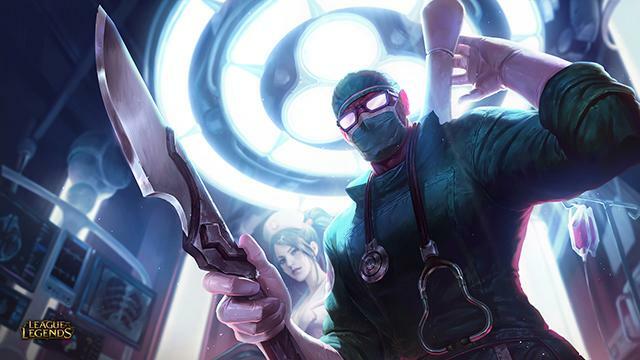 [ Note ] You can find the official post that lists all the Preseason Ranked improvements HERE. What’s the pattern? As a player, I didn’t have control of who I was playing with in a highly competitive environment resulting in misaligned competitive intentions. We’ve built systems to address many of these issues, but ultimately we realized we had hit diminishing returns without implementing more fundamental changes. Next, ranked standing currently is a reflection of your ability as an individual to carry in a team game. We of course believe great play should be recognized and rewarded and it should be the foundation of ranked standing, along with team work. Right now ranked standing is far more representative of personal mastery than teamwork. This is why when you look at solo queue the games are so different from high level team games. When we looked at this pattern, we asked ourselves why it should be this way. Why should the most authoritative standing of your abilities in a team game be a rating that requires you explicitly not play as a team? Finally, we just straight up asked players if they wanted the change via a large scale feedback tool. A small number of players were strongly opposed, the vast majority of players were in favor or strongly in favor. This doesn’t make it the right decision, but it was a data point we considered an important part of the picture. We believe this change will reshape behavior around the ranked experience and we’re excited to see what happens during the preseason. Change is scary, and we realize this is a big change. As the stewards of ranked we are going to be analyzing the hell out of the data we get during the preseason to make sure this is a step forward for the game. For the open minded and the skeptics alike: we look forward to seeing what happens in the preseason and to hearing your feedback. Sorry I haven’t been able to hop on this thread until now–busy trying to bughunt with the team and it’s been a long few days. 1) The vast majority of players preferred to play League with friends, but there was currently no end-game progression in League other than Ranked (we’re not going to count Ranked Teams because we agree there are many issues such as a high barrier of entry). Most players do want to try Ranked, so players were forced to enter a queue that artificially capped your party at 1 or 2 and made the game less social. This was bad. 2) We added a few matchmaking features to bias the system so that it would pair similar group combinations against each other. So, premade 5s would most likely play other premade 5s, and so on and so forth. In our testing, and when we modeled data from Normal Draft Queue to emulate what it would be like if we did Dynamic Ranked, over 95% of the time groups were paired with similar size groups. We’ll have to monitor the behavior of Dynamic Ranked to see if the pattern is the same, but we’re hopeful. 3) There’s actually a pretty big perception issue with premades in League. When I talk to players, they always remember the premade that bullied them or made the game more toxic; however, when I point out behind the scenes and show them the data that almost every single Ranked game has a Duo Queue in it… they are shocked. The perception problem is that you only remember the games where a premade did have an issue, but you never remember the games where they were quiet and just didn’t give away they were a premade. We’ve been measuring toxicity in premade combinations for awhile now and believe that most most combinations of premade 2s and 3s are fine, and premade 4s have a little bit more toxicity than we’d like. Premade 5s are obviously awesome experiences. So what are we doing about premade 4s? 4) As you may have noticed, we’ve beefed up the Report System, and added new features to the Instant Feedback System. More than ever before, Premade 4s won’t be able to “affect” your account if they simply gang up and try to bully you with reports. In fact, if they do this often and they file false reports, they can be banned for this behavior. Secondly, in a Premade 4 situation, your reports are just as powerful as the group, so if they are showing toxic behaviors at all, your single report can have a meaningful impact and trigger a punishment. We believe measures like this will help balance out this specific scenario to be less negative. 5) With the new Champ Select experience, we’re giving players more benefits than ever before to play with friends because we believe playing with friends is the right way to enjoy League–we don’t want the game to become an anti-social experience. For example, there will be a promo bonus for playing in parties during the launch of the Ranked 2016 Season, and playing in parties is the best way to guarantee exactly what positions you want to play in the new Dynamic Ranked Queue. We understand that we’re going to frustrate the purists that enjoy playing solo and seeing what they can do alone among a group of 4 strangers but, we want you to give this a try before slamming it. More players playing Ranked means more competition for you, and it means quicker queue times at low and high MMRs. We also have ideas to expand the Ranked system even more in the future to give multiple ways for you to challenge yourself and your friends. 6) Like any big change, we’re going to have to monitor this one carefully. We ask you guys to be patient and give it a chance. We’ll ultimately make the right decision, but a LOT of players have voiced their opinions that they do want a more social Ranked experience and want to play in a Dynamic Ranked queue. Give it a chance, and we’re listening if it doesn’t work. Ranked Teams had too high of a barrier–a forced roster, a roster cap, and playing X games together before your MMR stabilized. Solo/Duo Queue was a pretty anti-social experience, and players kept saying over and over again in research they want something in-between Ranked Teams and Solo/Duo. Hop on, grab a few friends (no matter how many) and play for stakes. I think this is going to be far more competitive than players think, they just have to give it a shot. No, a 4:1 team is not at a disadvantage compared to the other 4:1 team. These cases all output a 50/50 win rate over time. This is why groups will match against other groups more often before being matched against teams of solos. You can queue at any time before this, and the game will still count. You can even queue at exactly 00:00 PST on November 11th, and the ranked game willstill count. NOTE: If you purchased Sivir right before receiving Victorious Rewards, she willnot be refunded. If you won 10 ranked games on a team, and then are kicked from that team, you will not earn rewards. Player Support cannot override or change this. If you were kicked from a team for whatever reason, you will need to win 10 NEWgames on that team (if re-invited) or on a different team. If you earned rewards, but did not receive them by November 18th, 23:59 PST, feel free to submit a ticket to Player Support so we can investigate further! If your team is Gold AND you have won 10 games on that team, you get the Victorious Sivir Skin. If the ban ends after August 10th, 00:00 PST, you will not be getting rewards. You get the skin at your tier. Think of it as a single ward skin that “evolves” depending on your tier. Keep in mind that decay is only for those in Plat and above. Other than that though, decay should start ticking the moment your game ended. So if you ended at 10am, it would decay exactly 28 days at 10am. Just to be careful though, you may want to consider playing a game to make sure you don’t decay! To jump straight to the point, Marksmen have a number of pain points in the game right now. Thereâ€™s a distinct lack of individuality between Marksmen. For most, their items are incredibly prescriptive and thereâ€™s not a lot of deviation. Generally, as a class, they suffer from high team demands without a lot of self expression to work within those demands. Weâ€™ve mentioned Meaningful Choice before. Whatâ€™s most important here however is the method to achieving meaningful choice (rather than just choice). For Marksman items, we tackled this with three different strategies: â€œAutonomyâ€, â€œReactionâ€, and â€œPredictionâ€. Reaction. Reaction as a choice is represented by your capability to solve a problem presented to you. There are multiple types of reaction. For these changes, weâ€™ll be focusing on responses to your opponents in the items they build, the champions they pick, and the needs of your team. Weâ€™re operating under the assumption that this problem is fundamental to Marksman and their role within League. There are a number of reasons for this. In games (not just League) single points of optimization, when that point can empower itself, tend to be notably strong. In Marksmanâ€™s case, their single point of optimization is damage. This is primarily caused by their damage being reliable via ranged auto-attacks, meaning they can leverage positioning (which is free) as a primary defense. However, we feel like this identity is clear for Marksman. This type of distinct identity allows League to work as a team game, where each individual has their contribution. So in order to support keeping what makes a Marksman a Marksman while still offering choice, weâ€™ll be exploring a different route: While picking up the stats that give Marksman their damage, we should offer choices among those items along the way. You can see this already in the game with the choice posed by Phantom Dancer and Statikk Shiv. Unfortunately, the nuance of this choice can be hard to appreciate (am I behind, or could be behind in gold? ), and even then thereâ€™s not a lot of these types of selections. Thereâ€™s a few valid ways of addressing this: we could push more differences between the auto attacks (insert roster devblog link here), or we could push some Marksman to be empowered by their abilities. Identity items highlight and specialize the choices you made at champion select. Once again, â€œWho am I?â€ We donâ€™t feel like in the current landscape the more caster-like Marksman are well served by this idea. Enter: Essence Reaver. Essence Reaver is being changed to offer caster marksman access to a stat theyâ€™ve desired, but could never really (or rarely) fully utilize: Cooldown Reduction. Thereâ€™s a lot of possible room with these items, except that Phantom Dancer is the poster child for TMDOP (â€œThe Marksman Damage Optimization Problem,â€ remember?). So weâ€™re changing that. And weâ€™re widening what it means to be a multiplier item. In addition to be the damage curve definers, the pointed tip at the end of your two item spike, multipliers are getting an additional identity: â€œHow should I fight?â€ This is a choice grounded primarily within autonomy (â€œWhat works best for me?â€) as well as reaction (â€œWhat works best for my team?â€). Last Whisper highlights an interesting problem. The usage of total penetration meant that even against champions not buying armor, Last Whisper was actually at least a +10% physical damage amp. This was actually a â€œgenerally usefulâ€ item masquerading under the guise of a tank killer. We want to break the above expectations to make selective offense a little less automatic while, at the same time, making it easier to pick up a response when itâ€™s necessary. Selective offensive items are now guided by their components and what youâ€™re giving up, while being significantly more targeted than the current Last Whisper. Executionerâ€™s Calling: I need to stuff their life steal or health gain. 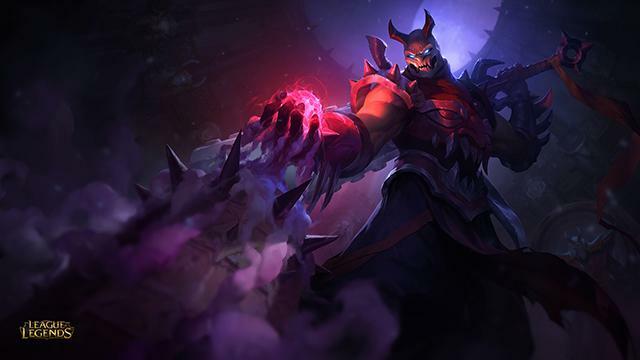 The key defense favored by Marksman is lifesteal, but thereâ€™s not a lot available here so all Marksman default to the same purchase: The Bloodthirster. This stat is so core that it actively pushes aside all other defensive choices until itâ€™s covered. Weâ€™re running with that idea. For Marksman, lifesteal means defense. The result is all the items in this category provide enough lifesteal before letting you branch into the types of defenses you should otherwise situationally take. Thereâ€™s a lot of new abilities and interactions presented by the changed items, and we donâ€™t believe we have every one of these ironed out. League of Legends hasnâ€™t been tuned to the idea that some Marksman will get 40% Cooldown Reduction, for example, and itâ€™s impossible to know the full effects of this. Weâ€™ll be watching diligently to identify whatâ€™s problematic and whatâ€™s not! Marksman are the damage class that’s in charge with killing tanks (eventually). We don’t want that to be increased (or increased to a notable degree) above what’s on live however. One of the more difficult balancing points for a carry class is these expectations. If, as a class, we need Marksman to deal less damage to squishier targets, that’s difficult to do because it will break their expectations on needing to kill tankier targets. If we need Marksman to deal more damage to tankier targets, that’s difficult to do because that will make them delete squishier targets. Lord Dominik’s Regards compared to old Last Whisper is this redirected in a vacuum. Moving from total penetration to bonus penetration is actually a rather significant nerf in damage against all targets, squishy and tanky. Everyone has base armor and there’s a lot of it. Depending on who the target is, just that conversion is a loss from anywhere around 10% to upwards of around 20% damage. 1: It’s covering up the damage nerf on the item to some of the classes. If it’s still too high, it can be individually adjusted without much pain either. Planned initial reaction if that showcases itself is to push it out to maxing at 800 health difference. I think it’s incredibly dangerous to compare AD casters – most of whom rely on their spells for sustained, low-burst damage (maybe not Graves) with little to no CC, vs. AP Casters, many of whom have game-winning abilities should they get the right catch. We’ve intentionally starved the high end damage points because of this. Infinity Edge and Phantom Dancer had a ways it could go while still being “high end damage items”. Their damage is going down specifically to make room for more interesting abilities. I don’t believe we’ve hit the balance needed for this perfectly yet. It’s difficult to get a degree of imbalance with this many changes (and there will likely be something that slips out obscene, oh preseason). But it can be adjusted once out. More importantly, there are actually a notable number of more tools that let us reach those adjustments now. e.g. If a tank becomes unseen due to these changes, raising their base armor per level is much more meaningful now. We didn’t change our mind. Personally, I believe that GW as it exists on live can’t be supported systemically and is very oppressive. However, with these changes GW was changed to 40% reduction (down from 50%) as well as only blocking self only healing. 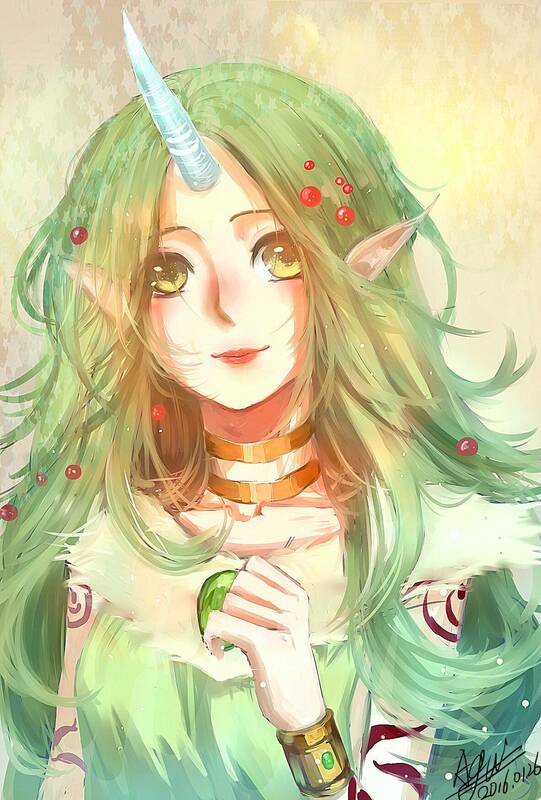 So as an example, it will stop Soraka’s self sustain, but not her support sustain. 40% may very well still be too high, but we’ll be able to respond to it if so (lowering it further perhaps). Having an response for “there’s a LOT of X quality on the enemy team, our team should have answers” is important. It’s also important to note that this change is global, and it will affect other sources of Grievous Wounds. If this impacts other sources of GW too negatively (like what may happen with Morellonomicon) then we can adjust it after we get a better handle of GW through the preseason. There is a low point (in testing, I found that to be around 30%) for which GW just doesn’t feel attractive anymore, even when it is. If it drops too much further, then we will seek out other forms of gating on the items. Duration is a clear hit (from the 3 and 5 now to 2 and 4, or 1.5 and 3). If that still not enough, then we’ll seek more complex options. We think this model is correct for Executioner’s Calling, particularly given the changes to Grievous Wounds (e.g. it no longer applies to healing from allies, so Soraka’s W isn’t reduced). It’s possible that we need to re-evaluate Morellonomicon, though I’m much less sure about that one. We could, but adding more components carries its own costs and the value just isn’t there. By having them share so much of their build path, we allow you to choose which one you really need later, which means more adaptation to the game state. For this particular set of items, we value that pretty highly. This reinforces the shared properties of those two items. It’s not ideal, but I wouldn’t consider it a big problem either. I’m gonna fix this one. Yes, I do. You’re glossing over the value of 10% lifesteal and effectively 300+ health later in the game – that’s a huge amount of power. That said, I do think we’re going to see a lot of double lifesteal builds, so I suspect it’s more a question of “Pick 2 of Death’s Dance, Mercurial Scimitar, Bloodthirster, Blade of the Ruined King, or Maw of Malmortius” rather than a direct comparison between these two items, and I think Bloodthirster fits in as one of those 2 in many situations. When we do that, it’s because we want to force a spotlight onto the one real point of difference – do you want to deal with tanky champs better or do you need grievous wounds? Stat differences tend to force you to optimize around your champion’s stat usage – you get a situation where Jinx always buys X, Lucian always buys Y, which means that neither gets much of a choice and Jinx just ends up with the property “Does more damage to health stackers” and Lucian just ends up with the property “Puts Grievous Wounds on targets”. There are situations where that’s a good thing, but that’s not what we’re going for here. I answered this in more detail elsewhere in the thread, but Tl;dr: shifting power from defense to offense is intended to help Juggernaut build diversity a little bit by making it an even better choice in some situations but a wrong choice in others. As for its efficiency going down specifically, it was one of our outlier overly efficient items. I can explain the changes – tl;dr all of those changes were motivated by their Fighter use cases, NOT Marksmen. Maw of Marmoltius is being changed with AD Assassins and light Fighters in mind, as a potential go-to MR item. The addition of flat armor penetration coupled with a pair of unique passives that reward you for taking risks helps Talon or Wukong a lot more than it helps any Marksman. I do think there will be some Marksman usage of this item and that’s perfectly acceptable, but they aren’t intended core users and I don’t think they actually like this iteration better than the previous one, except that the previous one was weak. The Black Cleaver is being changed with Juggernaut build diversity in mind. I realize that’s going to look strange since they’d prefer the previous iteration of the item – because it gave them everything they might want in a single package. On Live, if you’re a core Black Cleaver user, you’re going to rush it pretty much no matter what – it isn’t contextual at all. With the changes, if you really need defenses first, you won’t be able to rely on that item to solve it for you – but if you’re doing well and want more kill power so you can snowball, it’s even better. I do anticipate more use by non-Juggernauts – it’s a better item for Wukong, for example, and that’s fine. I will be very surprised if Marksmen adopt it – maybe one (Graves? ), but certainly not on any widespread basis. There’s no reason to build it with Essence Reaver and Essence Reaver is simply better for those champions. (1) Power reduced across the board – it was one of the highest outliers for gold efficiency in the entire game, so our efficiency normalization pass hit it especially hard. Basically we want you purchasing items because the cool things they do fit your champion and goals in a game, not because it just gives more power than the rest. (2) Sheen traded AP for CDR. This was a net buff for most (but not quite all) Sheen users – the item no longer forces you to spend gold on a stat you probably don’t care about. Even among the characters who do care about AP and bought Sheen, CDR should be approximately neutral in most cases. I’m sure there’s a champ or two who end up being sad about it, but they’re a small minority. Trinity Force inherits this change, which does make it better for Marksmen – but also better for most Fighters. The main reason we’re excited about this change, however, is that it gives us a much better ability to make the items that build out of Sheen exciting in targeted ways. The immediate payoff there is the new Iceborn Gauntlet – Tanks can have a Sheen upgrade of their own now. (3) Critical Strike increased, Attack Speed decreased. This is inherited from the Zeal changes – both values are exactly the same as Zeal. This one’s happening because of Marksmen but I wouldn’t say that it’s for Marksmen – it means that Marksmen can’t really use Tri Force as their single Attack Speed item anymore (for the few that did use it that way), but it does mean they can use it for their single crit item much more effectively. I agree that this feels bad for Fighters, but we’ve been over our other options here and short of making Trinity Force a much different item (e.g. increasing its bonus AD by 40 or something) there’s not a better alternative available, unfortunately. Options like Recurve Bow tend to feel just as bad for Fighters (at least Zeal has % move speed! ), so they aren’t actually improvements. It’s much easier to add more when there’s a clear trade already established, so it’s open design space in the future. Before we decide to explore that space once more I would like to wait some time first for people to get used to all the current item changes. We’re not beholden to how ER is currently worded. One of the responses we’ve considered is dropping its bonus CDR from crit to cap when you have 30% crit from other items instead of just 20%. I feel like ER is strong but in the same way that IE is strong. If those two balance comparatively, then nerfing (or buffing) it will most likely entail changing both. It potentially hurts him more than most other champions. There tends to be those types of hits with any type of systemic change. We can adjust after (such as tweaking Thresh) if it’s a problem. Yes, they do compete. They’re also a bit antisynergistic in that way. Prevented damage (such as from shields) isn’t “caught” by Death’s Dance. Death’s Dance exists to favor fighters and caster marksmen over others (where natural lifesteal is less favorable). First, if you haven’t already, go check out this player-made mastery calculator! I’ll be using this tool to link pages. Special thanks to Hudzen, DPatti, and Pyro for their work on it over the seasons – you guys are all awesome. Note: These are only intended as guidelines and should be just enough to get you started — I’ll leave the real theory-crafting / optimizing to you guys! I DO NOT want to prescribe your build, and rarely will there be a single optimal build, but if you’re feeling particularly overwhelmed, feel free to lean on what’s here until you figure out your own way! These assassin types will love the pen and burst damage offered by the Cunning Tree [hello, Thunderlord’s Decree! ], paired with the more general damage amps offered by the Ferocity Tree. Savagery and Runic Affinity from the Cunning tree also really help out in the jungle. If the early clear proves to be too challenging (Evelynn), opting into a safer 0-18-12setup might be the way to go. These juggernauts really benefit from the Grasp of the Undying mastery in the Resolve Tree. It turns their already high-health builds into more damage and sustain, allowing them to slog through the fight, dishing out and soaking up tons of damage. If soaking up damage for your allies is more your thing, check out Bond of Stone in the Resolve Tree, and pick up some self healing and mana regeneration so you can keep yourself topped off while you protect your carries! Windspeaker’s blessing in the Cunning Tree multiplies the power of these more buff/heal-centric supports. In addition, picking up Secret Stash and Meditation will give their lane some serious staying power. That said, swapping those 12 points into Ferocity, and selecting Thunderlord’s Decree as your keystone will give you some potent trading potential in lane. I encourage you to choose based on your own playstyle and preference! When you’re not just trying to one-shot someone, Deathfire Touch and co. from the Feroicty Tree will really amp up your damage over long periods of time, and the mana regeneration from the Cunning Tree will give you the resources to make it work. When you ARE looking to one-shot someone (I’m looking at you guys: Veigar, Zed and Lux) , I’d recommend 12-18-0 instead! Ferocity suits the playstyle of most marksmen — Lifesteal and %armor pen? Sign ’em up! Certain champions will inevitably make better use of certain keystones, but Marksmen should be able to viably run any of these keystones, depending on their preferred playstyles. Do you like to poke with spells? Check out Deathfire Touch on Varus. Is harassing with basic attacks more your thing? You’ll enjoy Fervor of Battle on Caitlyn. More into heavy Crit/AD builds? 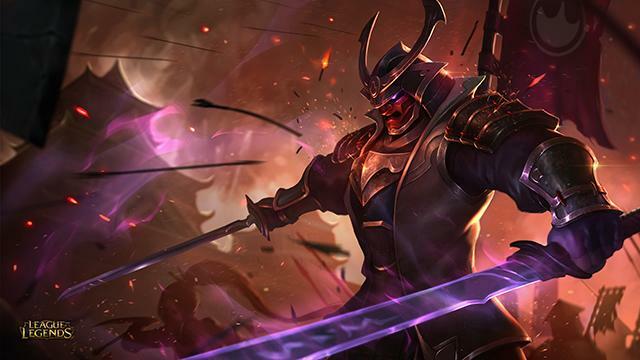 Warlord’s Bloodlust can shore up your lifesteal and attack speed so you can focus on your core stats on Draven. Alright! That’s all from me. I left out a number of archtypes, like the light-fighting skirmishers (FioraÂ and Vi) , bulky divers (Vi and Xin Zhao) , and many more. Plus, many champions will have particularly unique set-ups, based on their kit, so I encourage you to break out of the molds I outlined above! Today’s fan art collection is a tad longer, enjoy!